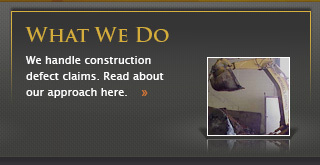 Thirty-nine years experience in the field of property damage assessment and repair. Primary clients are insurance companies and property owners with projects resulting from property damage involving a covered peril or having recovery potential. 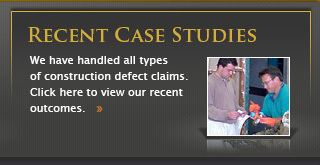 Mr. Mooring has a specific niche in the area of construction defect development and litigation. Extensive experience in corporate management, project management, logistical planning and coordination, engineering oversight and regulatory agency negotiations. Holds California State license #689517 for Class A General Engineering and Class B General Construction Contractor, holds a California State Certification for Hazardous Substance Handling and Removal and holds a California State Certification for Asbestos Removal. Is a nationally recognized speaker on environmental issues, with thirteen years conducting the contamination workshop for the Property Loss Research Bureau. Specific expertise as expert witness in many cases involving the recovery of funds through litigation and on related engineering and construction management issues. Specific expertise on property damage as it relates to insurance coverage. Has demonstrated strengths as an innovative thinker in complex situations and has a good ability to manage diverse parties toward a common goal. Attached is a partial list of representative projects including hands-on execution, many of which involved downstream expert witness work. 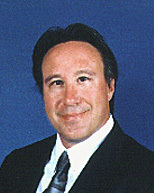 August 1993 to Present Amherst, Inc. President of Amherst, Inc. -Amherst provides environmental and non- environmental consulting, forensic engineering, construction management, agency negotiation and property damage costs recovery services primarily for insurance companies and private companies on property damage with an industry unique expertise in management of project costs. The company was established in June 1993, and has been structured for specific purpose of providing cost engineering and recovery through project assessment, project engineering and project management as applied to environmental and non-environmental property damage. Specific emphasis on construction defect litigation for both the defense and plaintiff. 1984 to 1993 SOS International President - With corporate responsibilities including all profit/loss and operating functions. Managed the corporate growth from zero to $120 million in sales with 2,500 employees in an eight-year period. Integral role in negotiations on a subordinated debt placement, a failed Initial Public Offering due to the stock market crash in 1987 and finally an acquisition of the company by Fluor Daniel, a Fortune 50 engineering and construction company. Subsequently owned part of a spin-off company, Peregren Management Group, serving a more engineering oriented client. Duties included project evaluation, selection and coordination of major project teams, research and development of state-of-the-art decontamination methods, chemicals and equipment and interface with regulatory agencies. Served as project director for several multi-million dollar projects for major insurance companies. 1966 to 1984 Blackmon Mooring Group Enterprises, Fort Worth, Texas Vice President, Board Director and Director of Western US Operations - Project Manager for $26 million PCB and Dioxin decontamination project at One Market Plaza in San Francisco, which involved seven floors and approximately 430,000 square feet of high rise office space. This was the first project of it’s kind to be certified by a health agency for re-occupancy after decontamination. Other duties included management of sixteen company-owned operations throughout the Western United States. Responsible for marketing, operations and profit/loss. Vice President of the Catastrophe Division. Started and developed an emergency response division within Blackmon Mooring Company. The Catastrophe Division was responsible for responding to major fires and environmental catastrophes throughout the United States. Responsible for managing and coordinating all activities within this division. Manager, Houston Region. Responsible for all business activities within the Houston office of Blackmon Mooring. Directly responsible for turning around this office from a loss position to the largest and most profitable company owned location. Manager, Oklahoma City Office. Responsible for managing all operations throughout the Oklahoma City metropolitan area and the geographic area surrounding Oklahoma City. Included managing the decontamination of several major hotels and office buildings and in commercial and industrial facilities. Activities included supervising teams of decontamination technicians, health and safety personnel, security personnel, accountants and project administrators to successfully complete decontamination activities. Project Superintendent. 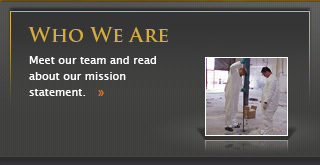 Responsible for coordinating decontamination and cleanup activities for residential, commercial and industrial structures. Direct line management of workers and crew dispatch. Ordering and management of all project supplies and equipment, cost engineering and budget tracking and hiring and firing of crew personnel. Robert Mooring resides on a small farm in Hillsborough, CA, just south of San Francisco. His son, Bob Jr., works with him in the business, overseeing business administration and marketing. 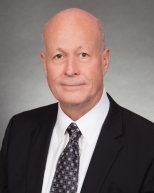 His daughter Melissa graduated from Chapman College in Orange County and is a Broadcast Negotiator for Group M Motion, a media placement firm in San Francisco. Melissa lives with her husband in Burlingame, CA. His youngest daughter Kate graduated from Loyola Marymount in Los Angeles and subsequently graduated from the Culinary Institute of America in Napa Valley. Kate is managing a bakery in Napa Valley and resides in Napa Valley. Over thirty years experience in the field of environmental, construction management, and property assessment, with heavy emphasis in environmental engineering. In the past twenty years, primary work has been the evaluation, design, and oversight of restoration projects for commercial buildings damaged as a result of fire, structural failure, landslide, environmental impact, and natural disasters. Has extensive experience in commercial property assessment, project management, technical oversight, logistical planning, and legal support. Other experience includes a strong background in regulatory compliance and agency/client negotiations. Specific strengths include management of unusual and hard to handle projects that require an innovative approach and scopedevelopment for large-scale industrial and commercial property damage. Has conducted numerous environmental and safety awareness seminars and has had an essential role with development for emergency responses and health and safety procedures at the corporate level.